Acropolis is one of the most recognizable structures in the world and considered as an unsaid identity of Greece. By visiting the Acropolis in Athens, you will be able to explore the overabundance of history, ancient wealth and opulence. Under the guidance of an expert you will get an opportunity to climb the Acropolis Hill and visit the Acropolis Museum. There is lot of things to explore and discover in the surreal city of Athens. With a knowledgeable guide, you will get a chance to visit the top attractions and learn about the culture of Athens. The Delphi tour is one of the most interesting things to do on your Athens holiday tour. Located at a distance of around 200 kilometers from Athens, Delphi is one of the most important archaeological sites in Greek history. Travelling with an experienced guide will help you in exploring the UNESCO World Heritage- Delphi in a convenient way. Here you will get a chance to visit the Temple of Apollo and Delphi Archeological Museum to learn and get good insight about the ancient culture and heritage of Greece. Do not forget to taste one of the most flavorful and widely popular cuisines in the world- the Greek food. During your tour of Athens, do not forget to try out the local specialties like souvlaki, meat or seafood variety and salads dressed in tzatziki. You will get an opportunity to explore the ruins of ancient Corinth after enjoying a scenic drive from Athens along the shores of the Saronic Gulf. The spectacularly narrow Corinth Canal was built in 1890s to link the Saronic and Corinth Gulfs. You can stroll around the relics of Corinth, which was once an influential ancient Greek and Roman city. 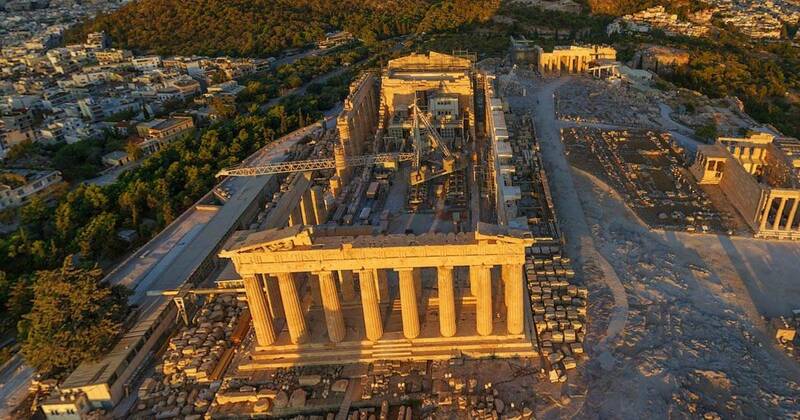 You can book a customized Athens tour from Greece Athens Tour to enjoy a memorable and relaxing travel experience. We are one of the best tours and transfer service providers in Athens, Greece. Whether you want to book a city tour, family tour, food tasting tour, winery tour or Athens walking tour, we will offer you a well planned and guided package that will suit your budget and requirement. To get more information about tours in Athens, contact us today at +30 6987752647 or send an email - info@greeceathenstours.com!